Did you ever wonder how sites get featured in Google’s “featured snippet” which appears above the organic search results and below the paid advertising? Appearing in this snippet can prove to be a huge competitive advantage, increase visibility, and rank for your creative business. Is it absolutely impossible to ever get picked? Don't you have to have tons of traffic to even get considered? Not exactly. 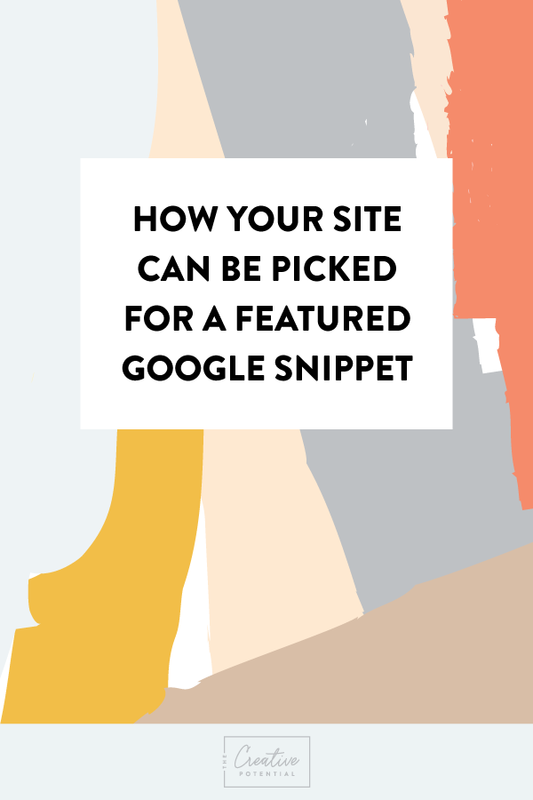 Here’s a quick tutorial on how you can optimize your website (whether it is via content or video) to be picked for a featured snippet. 1) Find out what kinds of questions your customers or visitors to your website would be asking or searching for on Google. Say for example you manufacture sunscreen made especially for those with sensitive skin. Let’s look at the results that first pop up when I type in “ How to apply sunscreen to sensitive skin”. You can also see the related questions below the featured snippet that people are also asking. This helps you create additional content and create new keywords/keyword phrases that you might not have thought of before. 2) Add a FAQ page, How-To, or Ingredients section to your website. This can help your business (service or product) get featured. This can be a specific product page or service as mentioned above. Try to incorporate the question into the URL slug so it makes it easier to be found. So you see just with a little research you can optimize your website and be ranking on Google in no time? Have a success story with being picked for a Google featured snippet? Please feel free to share in the comments below! Want to learn more about site optimization and SEO? Check out last week's blog post here. Don't forget to grab our FREE SEO checklist below!